Vivaldi has released its latest version 1.5 on 22 November 2016. It is accelerating its pace, and it uses to create a user-centric web browser which controls the colour of smart-home lighting through the browser itself. Along with this feature, it is adding many more features like drag tabs, tab stacks, and selection between two different windows. Addition to this features they also include delta updates, reader mode button and automatic screen shots in notes. It is an adventurous route going beyond the browser into the Smartphone by integrating with hue colour lights from Philips. Users have to enable Hue in Vivaldi Theme settings, and tap on the Philips Hue Bridge to confirm the connection. Users have to select which lights Vivaldi should control, the browser will synchronize your physical surroundings with the colour of the web. By this light bulb moment, seamless integration between the browser and physical space is done. 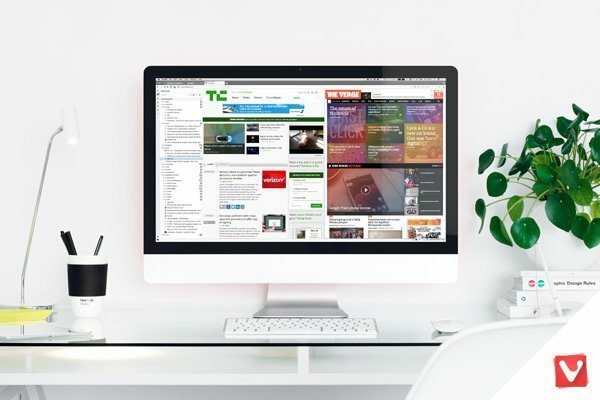 CEO Jon Von Tetzchner said, “Vivaldi is all about customization and flexibility, it is integrating loT devices like Philips Hue and makes it possible to adapt to you and your everyday life.” The Company suggests #Vivaldi users to update the Web browser.